My drawing of forest vines is based on a photograph I took on the property of my wife Carolyn’s cousin in North Carolina. Yes it took a long time. Lots of shapes to draw with lots of ink dots. I’m going to be sharing my pastel drawings from life for a while on my blog. Painting and drawing models from life is what I enjoy doing the most. Tags: colorful pastel drawing, drawing-from-life, John Foster Dyess, pastel-drawing -of-a-woman, pastel-portrait, woman wearing a glove. This painting was painted from life at a painting session at Webster Groves Christian Church. I took several photos of the model and will continue working on this using the photos for reference. I used tempera and acrylic paint on canvas board. I painted over an existing painting with various acrylic colors. 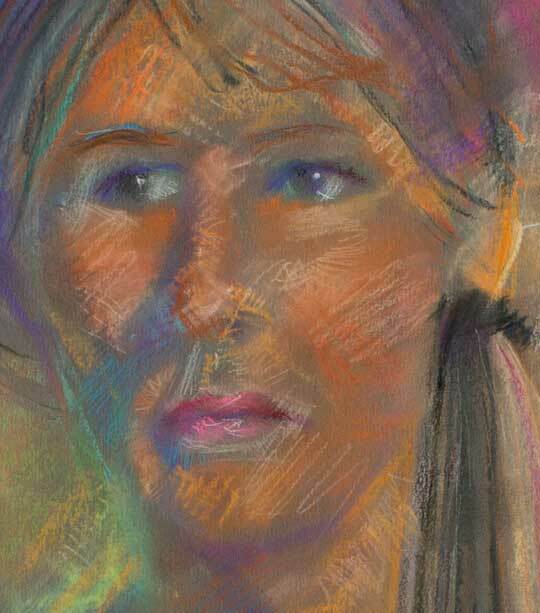 This pastel drawing was created during a drawing and painting session at Webster Groves Christian Church. The model works with a drawing and painting meet-up group in St. Louis Missouri. This drawing is on mat board that is 20″ wide by 32″ high. I took digital photos of Blyre and will continue drawing from the photos I took. I will share posts on the progress of this pastel drawing. I have been busy preparing for an art gallery show ,which I was in charge of ,that opened on January 21 2013 and have had limited time to post on this blog. 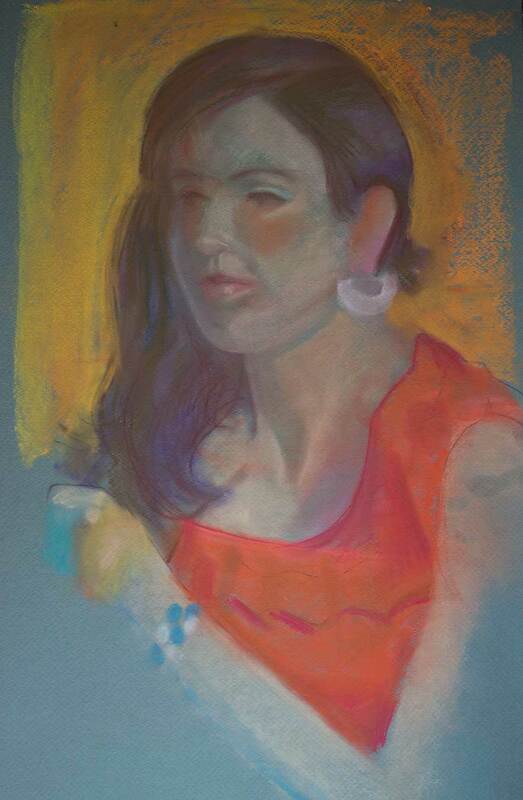 This is a pastel drawing I did from a model last Thursday at the St.Louis Artists’ Guild. I enjoy drawing from life because I do not filter or question what I am doing. Time spent on drawing about forty minutes. Again I would like to thank those who take the time to follow my blog.